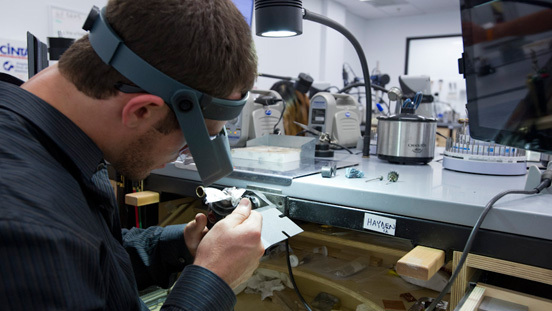 The Graduate Jeweler diploma program is a hands-on learning experience that prepares you for a career as a bench jeweler, and covers skills valuable for jewelry designers, CAD modelers, and sales professionals. You will work with gemstones and precious metals, taking projects from castings to finished, set, and polished pieces. Here are some of the topics covered in the Graduate Jeweler program. Learn how to use tools to repair jewelry. Learn the basics of metal working: soldering, finishing, and more. Develop skills for fabrication, custom order, and repair. Learn how to spot manufacturing defects and what causes them. Learn techniques for multiple stone setting shapes and styles. 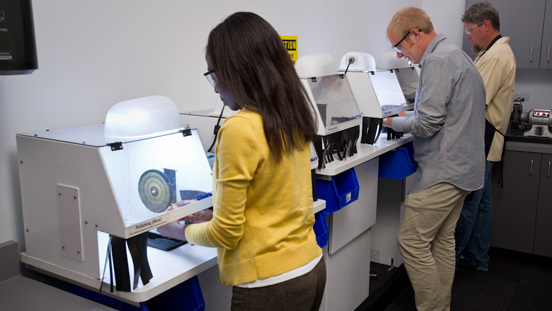 High-tech workstations meet old-world craftsmanship in the Graduate Jeweler diploma program. 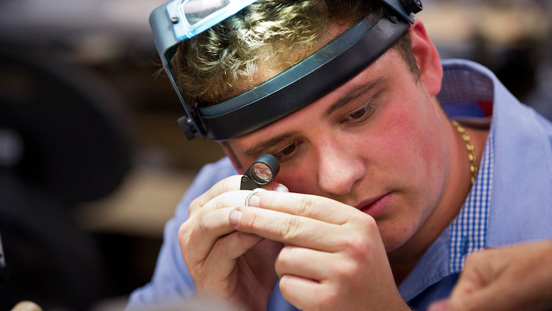 Gain hands-on experience working with a variety of precious metals, including platinum. Instructors with years of trade experience. Personalized attention. A workbench equipped with a high-speed micromotor, fixturing devices, and soldering accessories. All of this is waiting for you in the Graduate Jeweler program. Evaluate and improve your workmanship using GIA’s Quality Assurance Benchmarks (QAB) – which were created in partnership with leading manufacturers and design houses. Using them empowers you to evaluate your workmanship during the program and all workmanship after graduation. This one has a large princess cut precision-cut center stone and twelve small stones in a channel setting, and two princess cut stones bezel set. You’ll hone your craft by making beautiful pieces of fine jewelry. 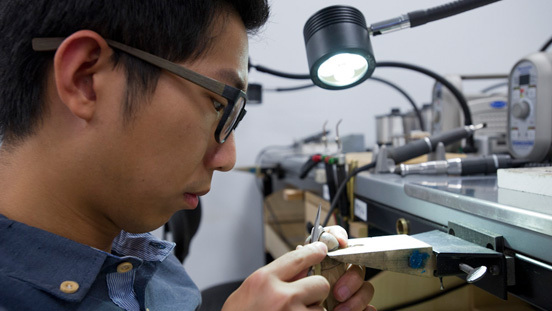 Get ready to practice essential skills in the Graduate Jeweler diploma program – like using files and other tools to shape a ring during the stone setting process. The Halo ring is hot. Watch students take on the challenge by making them in 14K white and yellow gold. 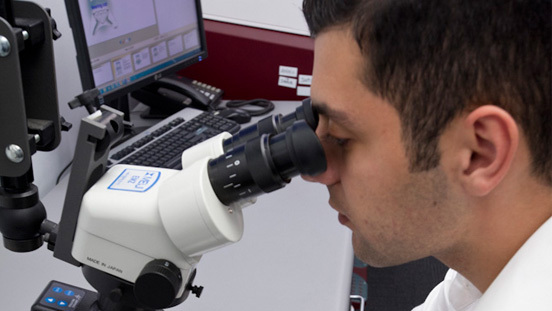 Grab a loupe and evaluate your craftsmanship using GIA’s Quality Assurance Benchmarks. You’ll understand what makes well-made jewelry and continually grow as a bench professional. Buffing and polishing bring out the beauty of precious metals. You’ll get to practice these skills on the latest polishing machines. 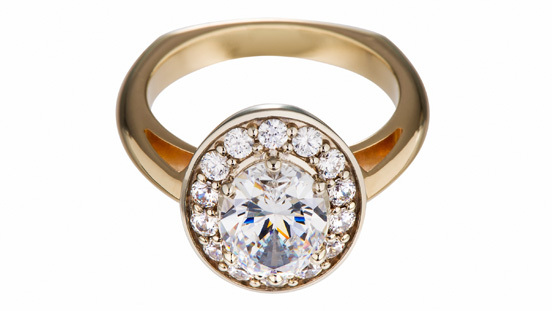 The Halo setting is one of the most popular choices for engagement rings. You’ll make the same piece with different alloys, like this two-tone ring with a 14K yellow band and a 14K white gold setting. Get ready to work under magnification, align the crosshairs with the area to be welded, and then fire hundreds of “shots” to finish the job. 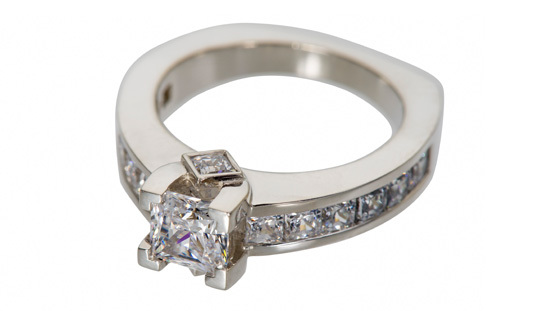 It’s time to set princess cut stones in bezels, channels, and “V” prong settings. Your instructor will be there to help. You’ll also receive step-by-step instructions in print and on a mobile device. Magnification of your work is essential for high-quality workmanship. Your classroom comes stocked with powerful optics so you can see the details in your pieces. If making jewelry is your passion, you will enjoy learning in the Graduate Jeweler program. 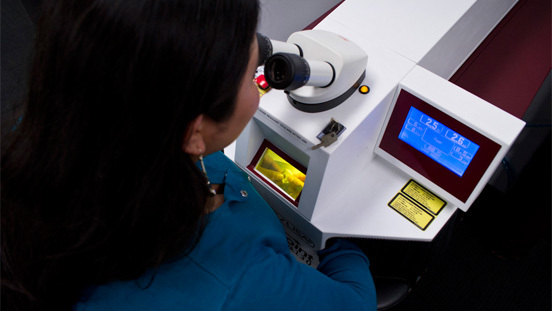 Skilled GIA instructors will teach you essential skills, including laser welding. Picture yourself here. It’s graduation and you’ve made a global network of friends and associates. 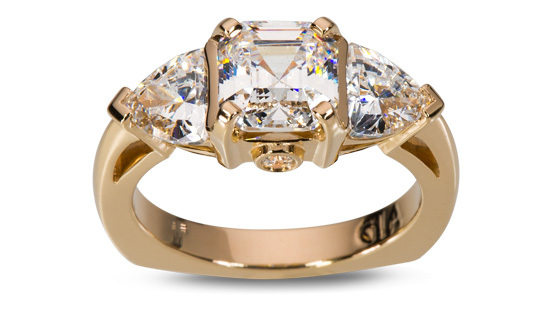 Test your skills by making a five-stone ring in 14K yellow gold. You’ll be working with three different stone setting styles and a variety of stone shapes, including trilliants. Offered at GIA World Headquarters and The Robert Mouawad Campus in Carlsbad, CA. 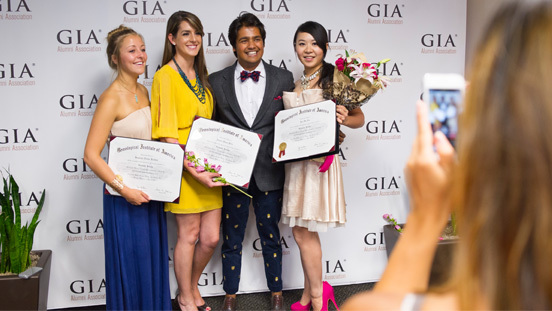 Immerse yourself in the world of gems and jewelry and earn your Graduate Jeweler diploma by studying at a GIA campus. This transformative program opens up a world of opportunity.